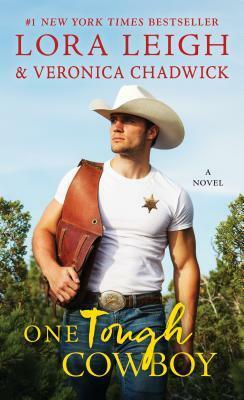 One Tough Cowboy by Lora Leigh is a smoldering romantic tale. I was instantly swept up into the characters’ lives. Their journey began with love and blossomed into a fiery heat that only they can contain. The woman who loved the man who always rescued her and the man who always wanted and is now going to fight for her love. Hot, suspenseful, and heartfelt, One Tough Cowboy has it all. I loved Hunter. A one man team trying to destroy his town’s corruption once and for all. His determination and strength made him a swoon worthy male. Samantha has her own demons to fight and isn’t sure if Hunter’s interest is real or not. Feelings surface and bubble over, causing a storm unlike any to brew. Lora Leigh has a way with words. I couldn’t stop reading this romance novel. Overall, I highly recommend it to all.